Karen writing : New Champion Al Khabara Lezz Go Sensational and now ad JC at the end..so proud of Sensei he never let me down. In just 9 months of showing, he has mutiple BOB’s from 6 yo 9 months puppy class, 2 Specialty WD, Best puppy, Best in Sweepstakes and BOS in sweeps, finished his Championship at the prestigious Woofstock weekend and two weeks later earned his JC all by 15 months of age. Thanks to his beeders Moni and Alex Kullarand for trusting me with Sensei and to Co owner Liv Royneland in Norway for all your support from afar. Sensei’s lure coursing title ! Now, what a exciting news ! Sensei’s ( AM CH Al Khabara Lezz Go Sensational) first lure coursing run was sucessful! He is 15 month old. Well done Sensei !!!!! So happy you can do lure coursing in your homeland, California !!!!! Thank you so much Karen ! Time to present the new headstudies! 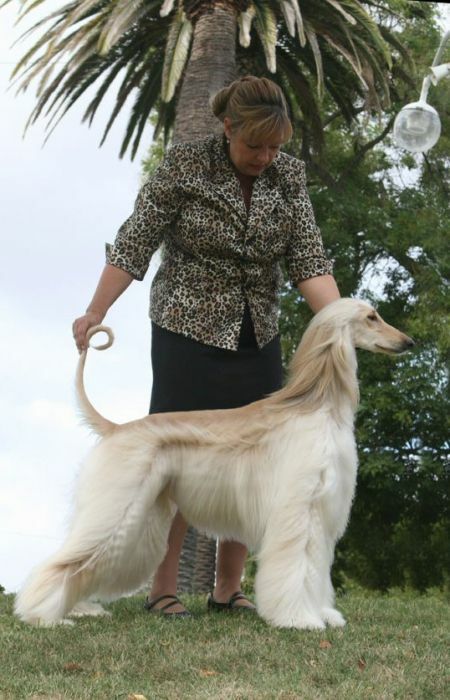 Here comes Sensei ( AM CH Lezz Go Sensational). Couldn’t be more happy with head types in our L-litter ! All of them got chiselling, roman noses and dark eyes, not to mention under jaws. And as breeder I can say, all 6 puppies has excellent bites and full dentitions. They now grow up from puppyhood and how interesting is to follow their development, surprising my every time I get new pictures. I am posting some more headstudies in next post.